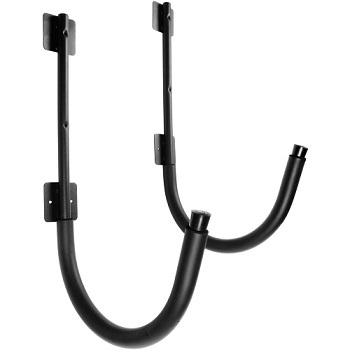 The new J-hangers for Kayak Storage from Oak Orchard will easily mount with deck screws to a wall or post. Padded powder coated steel. One pair carries one kayak. Regular: $70. SALE $49.95 pair. Order multiple sets and get a discount on shipping!